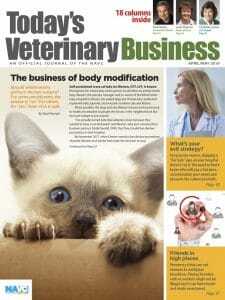 Our goal is to deliver something that is indeed special: a well-written, well-edited and thoughtful publication packed with information about the business, leadership and personal sides of veterinary medicine. I think we are meeting your expectations, but we will continually tweak Today’s Veterinary Business to make it even better. Tinkering is evident in this issue as we debut two more columns. On Page 16 is Innovation Station, a look at what’s new in the veterinary profession or what you may see at some point. 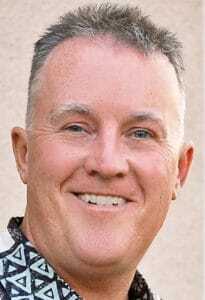 The column will be written by a member of the NAVC Veterinary Innovation Council. Kicking off the first installment is telehealth expert Dr. Aaron Massecar. We’re so crammed with columns and feature stories this month — in addition to the Equipment Guide starting on Page 46 — that we couldn’t accommodate everything. Five columns are online this issue but will be back in the December/January issue. Constructive Criticism columnist Paul Gladysz, who explains how to choose the best flooring material for your hospital. Go With the Flow columnists Dr. Jeff Thoren and Trey Cutler, who write about distractions and mindfulness meditation. Socially Acceptable columnist Eric D. Garcia, who will tell you how to maximize your website’s visibility. Take Charge columnist Abby Suiter, who examines loyalty rewards programs and how to implement them in the practice. I think you will enjoy this issue. I eagerly await your verdict.